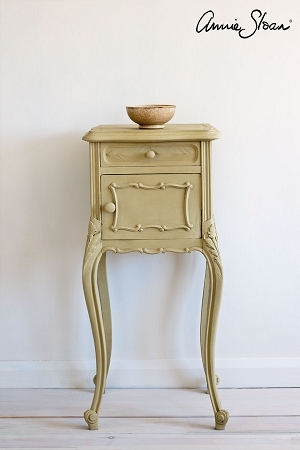 Annie Sloan's Versailles will make your furniture look like that of royalty. PACKAGING CHANGED TO LITERS! 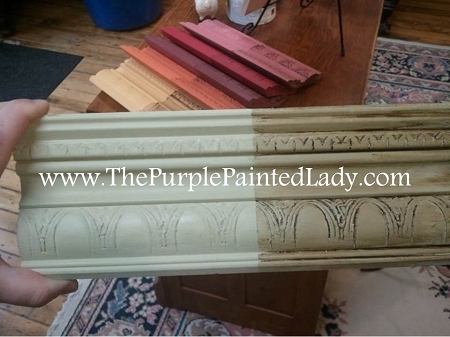 ~ More Chalk Paint®?.....same price! 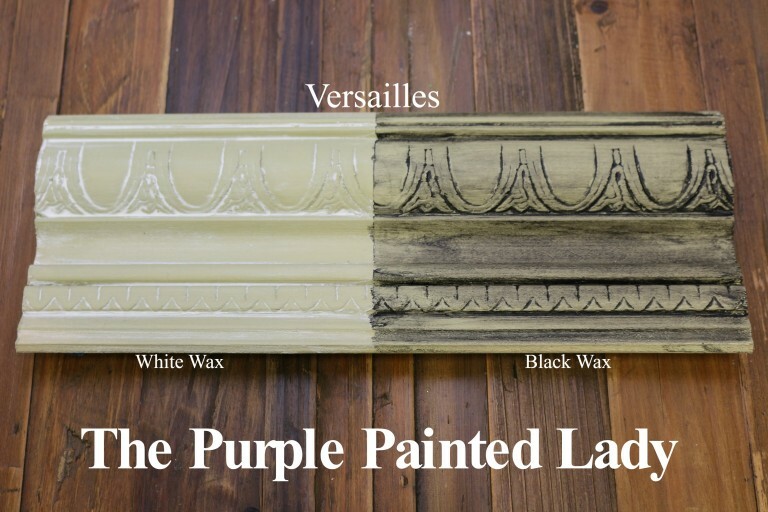 Chalk Paint®? 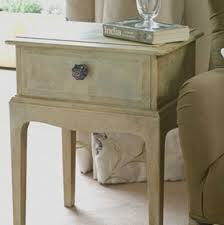 by Annie Sloan is sold all over the world. Russia, Germany, Spain, Australia, South Africa, Japan, Italy, Greece and Mars. (only joking about Mars....but maybe someday!) Through our 2019.....the packaging of paint will be transitioning so all countries are aligned and in the USA, the 32 ounce quart (being a little redundant there......lol) containers will be going to liters...which is around 34 ounces. This means....a little more paint for the same price. 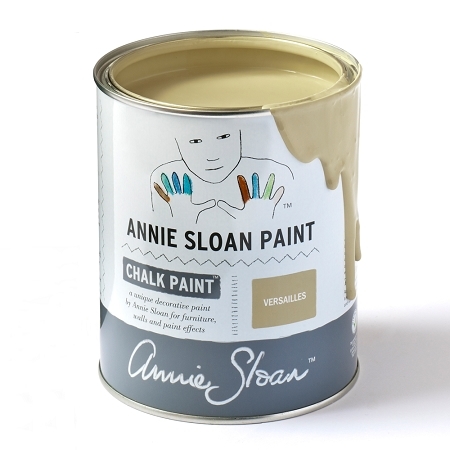 Besides the change of more paint- the liter's lids are just a little different and take a softer hand to open and close. 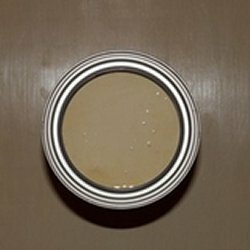 Use a paint can opener and wiggle it around the lid completely. 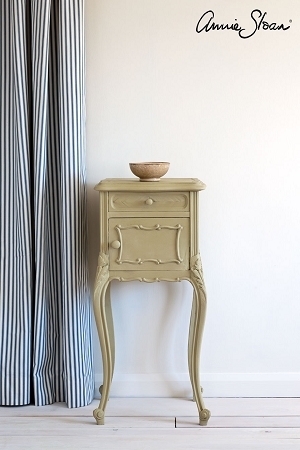 Soft delicate lightly yellowed dusky green that is sophisticated and gentle yet it works well with modern pieces too. 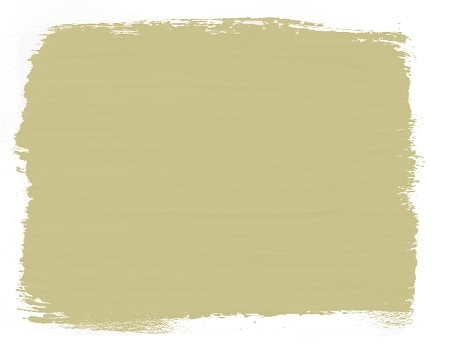 This is a color which picks up other colors well and changes character accordingly. 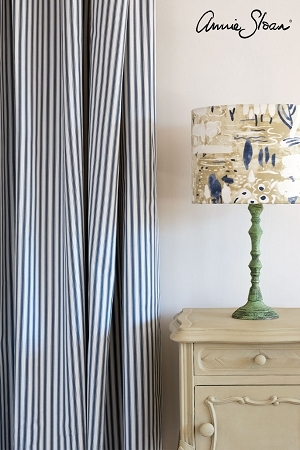 With pinks, creams and whites it looks back to the French court of Versailles but with turquoise blues, duck egg blues and chocolate browns it is a sassy modern color. 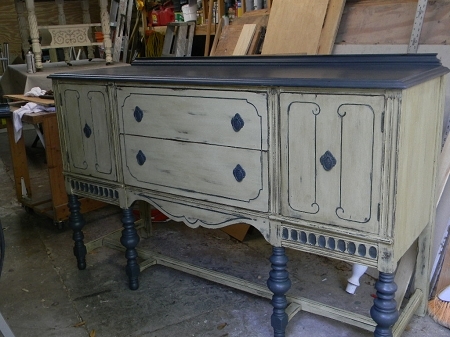 We also like it paired with Primer Red!